In honor of my mama, who tried to teach me how to make a good pie crust. Today, November 16, 2018, is her ninth birthday in Heaven. I miss her still. I don’t do pie crusts. Wait a minute—I take that back. 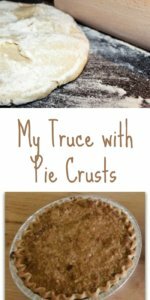 I do make pie crusts—they just don’t always turn out very well. It seems that when it was my turn or opportunity to learn, I was playing outside, reading a book, or cleaning bathrooms. That’s right. I never could stand a dirty bathroom. So whenever company was coming, I gladly scoured and scrubbed while someone else tackled the necessary baking. You’d think having grown up in a Mennonite, country home, that is one thing I would have learned. I didn’t. Don’t get me wrong. I’m fairly proficient in the kitchen. 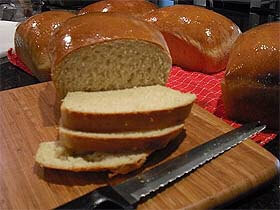 I can bake bread, rolls, pastries, and various desserts. I can make a decent pie. It’s just the crust that boggles me. Yet, for me, the crust is often the key to a good pie. Oh sure, I know I can buy those store-bought things or the ready-made crust that one can roll out and make it look like it’s homemade. But for a person who was raised on homemade, real lard-laced pie crust, I can tell a fake every time. 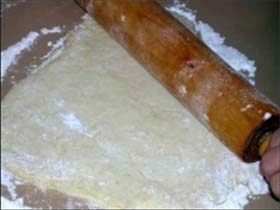 I am plainly, simply, unashamedly partial to homemade, especially when it comes to a pie crust. So I keep trying — and sometimes succeeding — with those pie crusts. 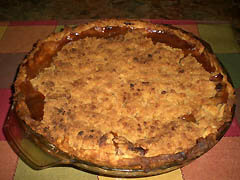 I’ve tried many recipes: the one that calls for boiling water; the recipe from Taste of Home or Better Homes or Southern Living; and the Never Fail Pie Crust (the one with eggs and vinegar in the recipe). Lately I’ve just gone to dumping things in like my sisters do. I admit that I don’t know what I’m doing, but it makes me feel good to see that it turns out just as well when I dump as when I use a recipe! One day quite a few years back my sister-in-law came to help me. They were moving out of the area, and I had informed Regina she could not move until she taught me how to make a pie crust. Regina knew how to make a pie and a crust, for she’d learned one Saturday when she insisted her mother teach her. 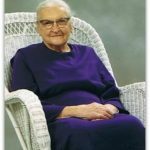 That day in their Pennsylvania home, her mom supervised as her eleven-year-old daughter rolled out fourteen pie crusts in one afternoon. That day, Regina left her packing and showed up at my house, recipe in tow. She tried to figure out what I was doing wrong and demonstrated her method. I tried to copy her, and for the most part, it worked fine — when she was standing beside me. I’ve come to figure out that you’ve got to have that touch when it comes to making a pie crust. 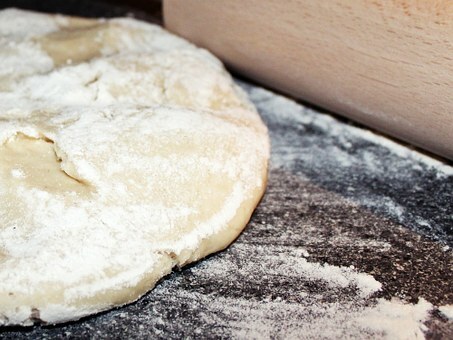 I tend to want to use the touch I’ve learned in kneading bread dough or biscuits. My mother used to caution me to toss the pea-sized crumbs lightly with water, a little at a time. It was like telling an elephant to tiptoe around marshmallows. I don’t have that touch even though I think I can still learn. Yet I still make pies — and I make my own crusts. I’ve had days when my crusts were pretty good. Matter of fact, one week after making seven (yes, seven) strawberry pies in four days, one of my kids said, “This is the best pie crust you have ever made, Mama. The texture is just right and it’s not too thick or too thin.” The problem was, I hadn’t used a recipe and I didn’t know what I had done to make it turn out just right! So therein is my dilemma: how do I copy a success when I don’t know what I did to succeed? Most of my sisters can outshine me with one hand behind their backs in turning out a pie crust. They dump and sift and blend their way to perfectly formed pie crusts without even thinking about what they’re doing. The other day my sister had the nerve to comment on Facebook that she loves to make pie crusts if she has the time. All the time in the world doesn’t guarantee me success in this department! I can’t multi-task when I’m making a pie crust. Granted, any other day in the kitchen, I can be hard-boiling eggs, steeping five gallons of tea, kneading bread, and tossing a salad while talking on the phone. But when it comes to making pie crusts, I have to focus, and I have to do it alone. If you bother me, you’ll get the blame for causing a distraction. That’s why I sent my daughters to western Maryland to visit their grandmother and aunts one week in the summer — to learn more about sewing and baking — and especially how to make a pie crust. I figured since I didn’t really know how myself, it would be better all around if somebody else taught them. So now sometimes my oldest will mix the dough, and I get to roll it out. Once during our courtship, Dave mentioned to me that when he was a teenager, he could put an entire pie away on a Sunday afternoon. After Dave and I were engaged, I told him that if he wanted a wife who did pie crusts, he had asked the wrong person to marry him. He looked at me as though I had lost my mind. He said anybody could make a pie crust for him, but not anybody could be his wife. He wasn’t worried about my pies (or the lack thereof). When it came to having company, he didn’t care whether or not pie was on the menu. In fact, he said I could buy one from the store if I wanted. Fancy that. Who would want to serve a store-bought pie when the taste in no way compares with homemade?! “There are so many other things you can make; why does it matter if you don’t want to serve pie to company?” he assured me. He was right (he usually is). Through the years (now thirty-four) he has not once criticized my attempts or compared my ability (or lack thereof) to anyone else’s expertise. And so, while I’m humbled by the fact that I have still not perfected a recipe or technique, I’ve learned a few things in my pie-crust-making process. I’ve learned that perseverance brings results. While I’m still not a great pie crust maker, I usually manage to get the crust into the pan in one piece. I’m getting better; and, while practice hasn’t made my crusts perfect, it has made them better than before. But then, come to think of it, I had no place to go but up in this department! I’ve learned that I need to do the best I can with what I have. Since my crusts aren’t the most symmetrical, I don’t have to use a crust on the top. I can get the taste about right, but getting it rolled out without tears and cracks betrays me. I make a mean crumb topping, and it belies the struggle I’ve had to get the crust just right. Plus, there are plenty of pies (pumpkin, chocolate chiffon, peanut butter, and others) that don’t need a top crust. What the bottom looks like doesn’t change the taste. I’ve learned that friends and company really don’t care to see how much I can impress them. They’d rather feel comfortable dining at my table than thinking they had to be impressed with my baking abilities. I’ve learned that it’s not okay to give up too soon; I might never achieve, but it would be dishonest to say “I can’t”. Rather, I can continue to say, “I’ll keep trying.” And if I decide I’ll never get there, it’s okay to admit that I don’t have that touch. I’ve learned I don’t have to be ashamed or embarrassed that I was born and raised Mennonite (and still am) and have yet to complete that perfect pie crust. I’ve got a few other abilities, and I can admire those “pie crust people” without feeling jealous or envious. I’ve learned to admit I’m not an expert, admire others’ abilities, and affirm the things that I’m able to do well. So when I’m in a hurry or don’t have much time, I don’t even consider making a pie. There are plenty of other baked goodies out there—all of them homemade. I’ve learned that life is like a pie crust. The ingredients might be exact and complete, but handling them incorrectly will cause a flop. Life is not so much about what comes my way; rather, it is how I respond to and handle those events and circumstances that will define its outcome. I’ve learned that even homemade doesn’t hold a candle to opening my heart and my home to those who need a welcoming place to relax and enjoy friendship and camaraderie. If I’m focusing on the food instead of the guests, I’m losing even if the food is great. I figure when I face the end of my life, it really won’t matter whether or not I ever learned to make a pie crust. It won’t even matter if I served store-bought or homemade. What will matter is how I’ve responded to those who can do it better than I. It will matter if I’m been jealous or tried to belittle the abilities of those who can outdo my pie crust making. I’ve learned that it’s okay to do what I do well; it’s okay to keep trying to do what I don’t do well; it’s okay to accept the fact that while I might excel in some things, I will never be master of all. I’m just not that perfect, even though I’d still like to make that perfect crust. 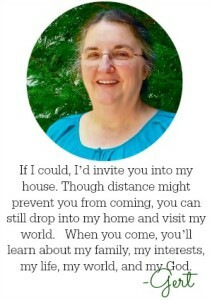 This article was first published in Discover Southside, an e-zine published from 2008-2011.